People who end up changing the world, for better or for worse, rarely follow the rules. In fact, the only rule that many revolutionary behemoths who lead or have led some of the world’s biggest companies, right from Facebook (Mark Zuckerberg) to Apple (Steve Jobs), seem to have followed is one that flies in the face of the advice all adults seem to impart with unusual solidarity—finish college, get a degree, and then, do whatever the hell you have to to stand on your own two feet. By dropping out of college to follow their dreams of learning while doing, as opposed to just learning until the world believed they were fit to do, they’ve managed to join a very long and very antiquated cliché that college dropouts make for some seriously successful entrepreneurs. This theory was a little bit too over-romanticised for our liking. College dropouts certainly don’t always make it big, and people who make it big aren’t always college dropouts. The only thing we know for certain is that we pay closer attention when the former becomes successful because that would mean everything we’re led to believe is true is wrong when it comes to the necessity of a college degree. Our two bits? No one path works for everyone, especially if you’re planning to risk it for the biscuit. We were more intrigued by the strength of character and risk appetite it takes to truly quit a known path, and head over into uncharted territory when it comes to people who do dropout of college. So in this vein, we profiled nine young Indian entrepreneurs who did exactly this while silencing the world’s advice with their intuition, and got them to share their learnings for anyone who might be in two minds about a similar decision. From becoming ice driving instructors to casting directors, these young men and women definitely have some entrepreneurial blood running through their veins. And here’s Vol.I for those who missed it. 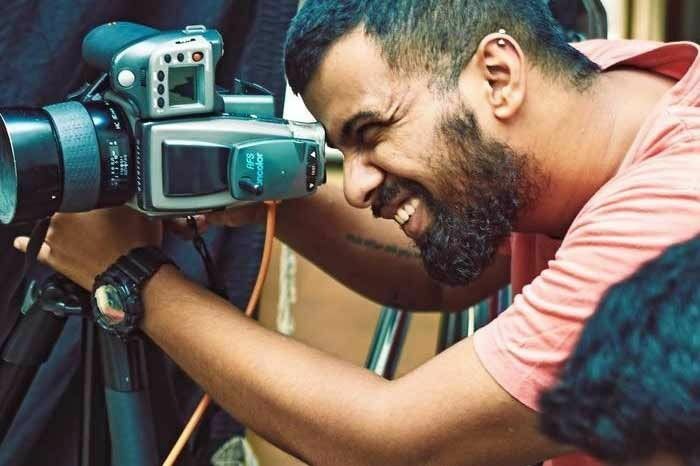 31-year-old Aashith Shetty is a fashion photographer and the co-founder of 18Percent Gray. Dropping out of college made me gain perspective on failure—mainly that it doesn’t destroy you. “I was at St Joseph Boys High School, which is regarded as one of Bengaluru’s most prestigious schools. Somehow, I never related with what I was being taught here, so I decided that I could finish my schooling through correspondence. I was in grade XII at the time,” he shares. When he realised that he needed to do something productive with his free time, he joined a local troupe as a dancer. “It was fun, until I hurt my back and I realised that dancing was probably not a long-term goal for me. I started dabbling in photography, while simultaneously pursuing my undergrad through Annamalai University. A year later, I bid adieu to my college life. I was enthralled by photography and every little bit that I made dancing was spent on film and equipment,” he says. Two years after he first picked up the camera, he showcased his work at an exhibition held at a local performance space. “I did it for the money. Soon after, I moved to Mumbai and I gave fashion photography a shot for the first time. It failed and returned to Bengaluru in less than four months,” he confides. Determined to make it, he assisted Tarunn for the next 10 months, making sure that he saved every single penny that he could afford to. He went on to assist Martin Prihoda, who introduced him to the photo editor at Vogue. “Iona Fergusson single-handedly saved me from running back to Bengaluru by giving me work for every single month that I was in Mumbai. In 2011, the ex-CEO of Reliance Trends was starting a new venture and wanted me to set up the first viable in-house e-commerce studio in the country—and I jumped at the opportunity of starting something completely new. We set up a visual standard that helped me gain the attention from all the big players in the industry—all of them wanted me to work full-time, and even offered me very seductive pay packages. But what I wanted was to start a company that changes the way the country looks at web cataloguing in terms of quality and delivery-time lines. That is how I started 18Percent Gray with a friend of mine. I did all of this while maintaining my advertising photography career,” he recollects. II. Aayushi Jagad | Fangirl. Hustler. Resilient. 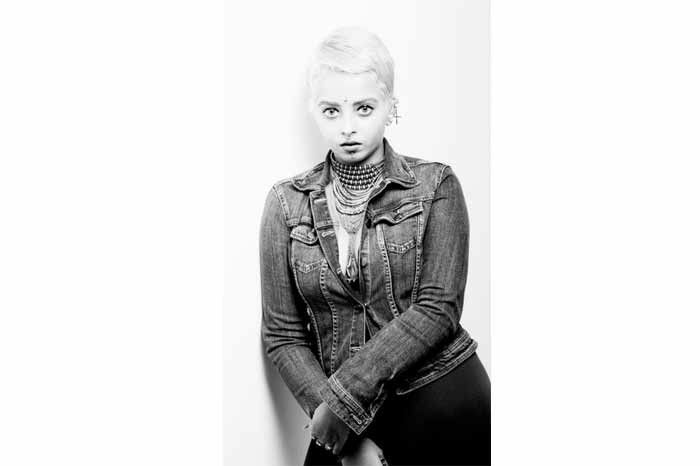 23-year-old Aayushi Jagad is a stylist viner and content curator. “I went to INIFD, while I was in Fergusson College, Pune, for my XI and XII grade. That course gave me an idea of what I wanted to do in fashion, which is when I made the switch from designing to fashion styling. I started assisting people on very small photo shoots locally, and one thing led to another,” she begins. With that she started off a career of styling photoshoots, ads, videos, movies and even pageants. “I started college at Symbiosis Institute of Design, but a year later, I dropped out. At the time, I genuinely believed the Fashion Institute of Technology in New York had more to offer me. I managed to get in, and went there to study, but came back because it got too expensive. It had started out as a hiatus, but soon enough, I dropped out. By virtue of the fact that I had studied in FIT and had a few pictures published in Vogue Italia, I was getting a lot of work here,” she shares. As a freelancer, she went on to produce photoshoots, work as a creative director on videos, and produce videos. She even worked in a marketing, PR and event management for a while. She is also a trained dancer, sings live, and writes for The Punekar. “It was a time when Kanan Gill and AIB had gained popularity and I was in love with Superwoman. I wanted to do it myself. Apprehensive of its success, I started taking on clients for branding and social medal to make some money that I could put it into the production of a YouTube channel. Every skill I had picked up on the way seemed to come together for this one endeavour. I was terrified that no one would watch what I had to put up,” she confides. Her company FANGIRL.Co came into existence as a manifestation of all the services she had provided as a freelancer. Unable to work on the YouTube channel, she started making Vines. “I told myself I just need to make one every day. And guess what? I did! I’ve wondered for a while if my hard work was ever going to pay off because I kept working for free and doing favours and losing money—but somehow it led me to my company and to a BuzzFeed video that would land me my current position with All India Bakchod. I joined them this earlier this year as a writer and course co-coordinator. All because of that one BuzzFeed video—it is amazing how things just fall into place. It is extremely difficult to overlook the functioning of my company while having a full time job. Letting go of control was the hardest, but it’s still the most rewarding of all experiences and I wouldn’t trade it for anything,” she adds. III. Hardik Gandhi | Passionate. Cynic. Wayward. 21-year-old Hardik Gandhi is a visual artist from Mumbai. 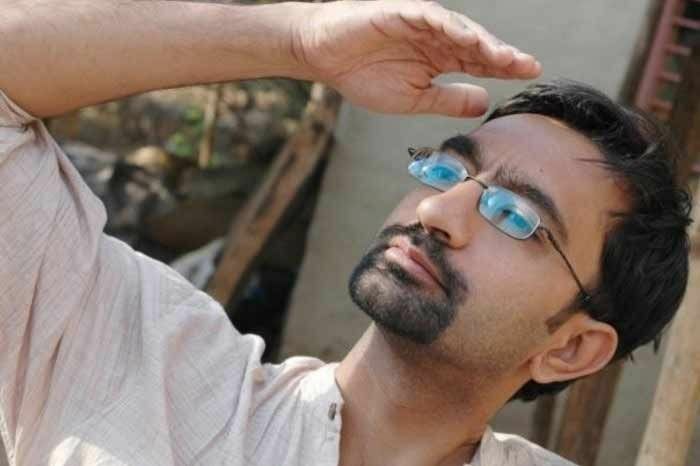 “ I dropped out of Asmita College of Architecture after completing three years because somehow I couldn’t see the value in a structured, traditional system of education. My concepts of design were just not meant for a commercial industry, which is all they teach us. I often put poetry, urban culture and spirituality into architectural design. For me, architecture is an art, a play of physical space and emotion,” he explains. He went on to work with an architect on experimental new media art projects for six months. He learnt about cinema theory and he began to appreciate and understand film as an art form. “People apprached me, asking me to join them as a full time concept artist or a visualiser. I worked with iCube Design Studios in animation projects as a visualiser/conceptual designer for five months. But the animation industry still didn’t seem to fulfill my theoretical understanding of art and cinema. Till recently, I was even into social media marketing as a creative designer,” he shares. Now, he teaches students of architecture at Architecture Masterclass part time and works as a designer with Bombay Trooper. IV. Himanshu Shetty | Eccentric. An anomaly. Alive. 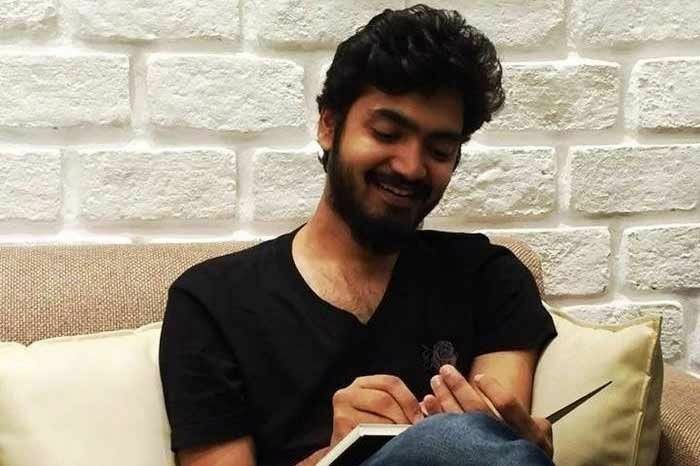 29-year-old Himanshu Shetty is a graphic designer based out Mumbai and Pune. The most distracted kid in class, Himanshu could inevitably be found doodling away at the back of every notebook he owned. Unable to find a way to get him interested in studies, his parents sent him away to New Era in Panchgani. While the school wasn’t able to get him interested in studies, they were able to discover the reason—dyslexia, with a mild form of ADHD. 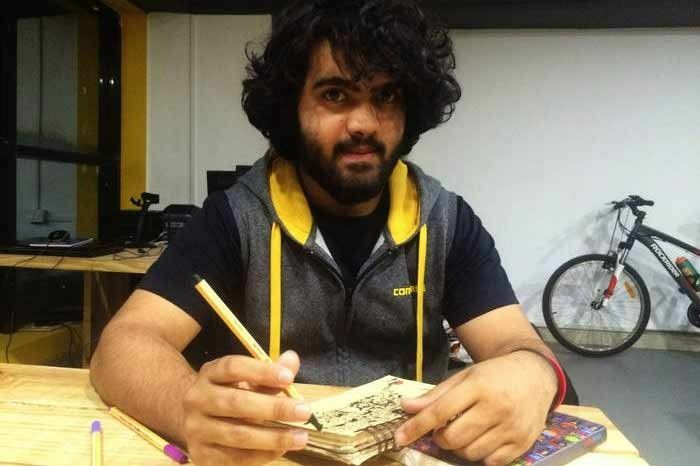 Some good Samaritans at school guided him into the world of art and he ventured into commercial arts at L.S Raheja School of Arts where he majored in commercial arts. “When the time came for 12th board exams I enrolled with Mahesh Tutorials, but instead of studying, I started working with them in the marketing department, designing their presentations and so on. By the time I finished school, I knew that this is what I want to do for the rest of my life. I wanted to experiment, take risks, and show the world something they hadn’t seen before. It wasn’t the college’s fault entirely, but I just wasn’t getting what I wanted. So I dropped out and went for it myself,” he shares. He went on to make beautiful art in Mumbai, Bengaluru and Goa. He started working for a company called HybridUV in Goa and an ad firm called 7thEye in Pune, before he decided to strike out on his own. 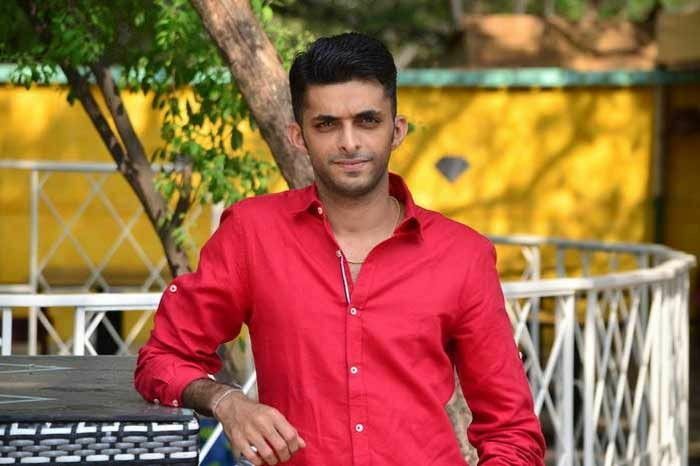 “As is the case with most freelancers, the lure of an agency caught up to me and MagikBox Media came to exist in February 2014, with the help of Sanya Kapoor. I ate when I was hungry; I worked when I was inspired; slept when I was tired and I’m glad for how life worked out. Today, I know that my struggle was my greatest education. Our firm MagikBox has achieved so much in such a short time, and it has got a lot to do with the fact that I learned very early on that you are greater than your opportunity, and the only thing that anyone can promise is their best,” he adds. You can follow Himanshu on his Facebook, Twitter and Instagram pages. You can also follow his work with MagikBox on their website, Facebook, Twitter, Instagram and LinkedIn pages. V. Panchami Ghavri | Free-spirited. Inquisitive. Passionate. 25-year-old Panchami Gharvi is a casting director for feature films and advertising. She has been working independently for four years. “I quit college and started working in the film industry. I started off as an assistant casting director on Wake Up Sid for Dharma Productions, and soon after, I went to NYC, where I did a three-month diploma at Lee Strasberg,” she explains. She returned to Mumbai and dived into this world. “Growing up, while all the other kids were watching Cartoon Network, I spent a large part of my days watching movies with my mum and sister. After I finished with school I attended Jai Hind College for two years (HSC) where I took up Arts. Like most other kids my age, I barely went to college. I began to realise that I needed to do something better with my time. I grew up in a household where my mum raised us to be fiercely independent. Everything I was learning in college felt like such a formality and I didn’t think it was adding anything to my life. By this time I had figured that I wanted to work in the movies. At the start of my second year of BA I decided that I wanted to drop out of college and work on a film as an assistant director. My mum wasn’t too thrilled with the idea of me dropping out. Like any other parent, she thought having a degree was important in order to have a successful career. But she had also never been the kind of parent to force me to do something that I didn’t want to do,” she muses. I was afraid that I wouldn’t make it. There are very few jobs in the world you can do without a degree—and that did scare me a little. If I hadn’t made it, I would have been a college dropout, without a job or a degree. I had no backup plan, it was my only plan. But I did it anyway, and it was worth it. VI. Rahul Mistry | Creative. Adventurous. Experimental. 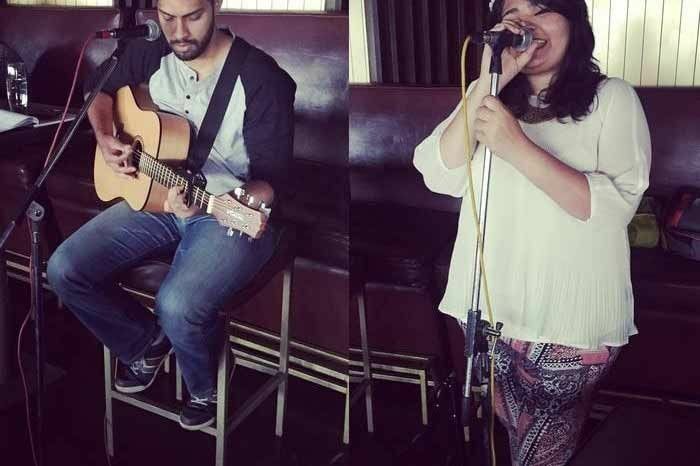 20-year-old Rahul Mistry is an artist based in Mumbai. He runs an online store where he sells custom hand-painted shoes. He is also an avid traveller who loves capturing his adventures on camera, a trekker and certified skier, and is planning to take up training in mountaineering. “After completing my 12th grade, I got involved in various hobbies and activities. The conventional education structure never appealed to me. So, I went for the least intensive course I could find, which led me to pursue BMM from R. D. National College. I continued my activities—playing football under Manchester United Soccer School, painting, doodling and anything else I found interesting. Anything, except studies. It first took me only one semester, to realise that I wanted to quit,” he begins. “I had a lot of free time and I spent a lot of time watching YouTube tutorials and taught myself to paint, sketch and design. I started going on treks and developed a love for being outdoors and exploring places. That is when I picked up an interest in photography too. I was all over the place doing many exciting things. The decision to not go back to college came to me very easily,” he explains. Around this time, he developed an interest for architecture, which made him take the decision to skip a year and prepare for the entrance exam for B.Arch. This one-year break was his turning point. Follow Rahul and his work on Facebook, Twitter and Instagram. To check out his travel blog, click here. VII. Roshni Kumar | Passionate. Quirky. Myself. 23-year-old Roshini Kumar is a freelance fashion photographer based out of Bangalore. “I have been passionate towards photography since childhood. I decided to take it up seriously right after I finished my 12th grade. Photography was the only thing I wanted to pursue. So I found a college that had photography as a part of the curriculum. I also started freelancing around the same time. After almost finishing a year I realised I was not learning anything new, and instead I was learning other things I didn’t intend to focus on. I decided that I didn’t want to put my photography aside to learn other things just for a degree. My parents understood my decision and I dropped out immediately. I joined a diploma course on photography and it was the best decision I’ve made,” she shares. VIII. Sidhant Panda | Passionate. Determined, Optimist. 24-year-old Sidhant Panda is a racing instructor for go-karts, sports cars, and ice driving. “My story starts when I decided to drop class 12 to take time to decide what I want to do with my life. I always knew I wanted to be a racing driver but did not know how I could make that happen. When I began feeling pressured to take up engineering, I decided I would be much better off if I saved both, the money and time and went on to pursue my passion,” he shares. He went on to work as an apprentice mechanic to learn about cars. He worked there free for three months, before which he went to Kolhapur to race go-karts. “In my first year of karting, I finished third in the rookie championship. Before I knew it I was climbing ranks to race in Asia and then France to race in the French F4 championship,” he adds. You can follow Sidhant on his website, Facebook, Twitter, and Instagram. IX. Vinod Sreedhar | Learner. Thinker. Naturaphile. 40-year-old Vinod Sreedhar is a jack-of-all-trades: a traveller, jingle-composer and philanthropist, all rolled into one. “I passed out of school in 1990. I had opted for the science stream, but two years later, I realised that I was far from interested in being a part of this race towards becoming a doctor or an engineer. I was young, so I stuck it out for as long as I could. Apparently, my board exams seemed like the best time for me to give up. I ended up repeating the year, so I decided to do it right. I chose commerce, this time round,” he begins. He went on to join SIES College of Science, Arts, and Commerce in Mumbai for his graduate degree in commerce. “Our classes used to end at 9:30 am, which meant that I had the whole day to do what I pleased. I turned towards music and began playing the keyboard and composing music. I used to spend hours engrossed in music and I was confident that I had a future as a composer,” he shares. Exams came around and once again, a feeling of anxiety and boredom settled in him. The fact that he has to write an exam to prove his intelligence annoyed him to no end. Unable to come to terms with this society-accepted screening mechanism, he walked out of college. “It took a lot of courage from my part to talk to my parents about this decision. They were surprisingly supportive, and this alone has continued to be a motivating factor for me,” he muses.The following 20 years of his life has been an exhilarating ride filled with exploration, experimentation, learning, hard work, and learning to push his emotional and physical boundaries. He travelled across the country; worked on farms; composed jingles for the ad industry for 10 years; consulted and worked with several NGOs and even founded two social enterprises of his own. “Since 2007, I’ve been working mostly on the second social enterprise that I started, called Journeys With Meaning (JwM). Through JwM, we design and offer immersion experiences for people through which we expose them to India’s most inspiring environmental and social solutions. We organise several adventure-filled eco-tours through the year, across regions such as, Ladakh, Meghalaya, Arunachal Pradesh, Kumaon, Kashmir, Gujarat, and Sri Lanka,” he explains. In 2015, he opened up another area of environment education, where he placed focus on working with schools, so that they could reach out to children and teach them to love nature and adopt eco-friendly ways of living. “Apart from this, I still consult with non-profit organisations on issues relating to youth development and environmental issues. I am also gradually returning to music,” he adds. You can follow Vinod’s work on his website, Facebook, Instagram, and Twitter.